Fall Into First: David Learns School Rules! I have been asked several times about blacklines for the David's we make while learning school rules, and it's here! AND IT IS FREE!!! Stop by my TpT store to download it! 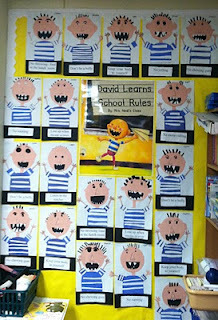 I have also created a "David Learns the School Rules" poster that is displayed with the kids David's pictures. Here is a picture of what the poster in my room looks like. I put the jpg image on my jumpdrive and brought it to Staples and they printed my poster in color in a 16X20. I made the poster in photoshop but then imported the image into PowerPoint so I could share it with you. I will give a personalized poster away as a FREEBIE to the first 10 people who follow my blog and TpT store. All I need is for you to leave a comment letting me know you follow me, your email address and what you would like the name on the poster to say. Good luck! you are so generous! I love David and I can not wait to make these with my first graders! :o) thank you!!! I already follow both your blog and your TPT store. I don't know how I ever taught Harcourt without your literacy packets. I love them! I would love my own copy of the David poster, I had already planned on using your idea for the beginning of the year. ByMrsGompah'sClass (but please insert spaces between the words). Aloha, I hope I made it. I would love for the poster to say By: Mrs. Christian's Class. I am a follower of your blog and tpt store. This is so cute! Just found your blog through a pat on Pinterest. So many wonderful ideas...thanks for sharing your talent! Soooo cute! I am following your blog now. I am already following your TPT store. Love your work! I'm a follower of your blog and TPT store, and I already downloaded your pattern from TPT. Love it! I'd love a poster for my class, too: Mrs. Reynolds' Class. Thanks! Oh and I would like it to say by Mrs. Chidester's class. Thank you!! Ps would you make my poster say "mrs thompson's class"
Hi! I am so excited to be following you! My students love David and I can't wait to do this activity! I think I made the cutoff for the poster, if so, my email is saranorman01@gmail.com and I would like it to say by Mrs. Norman's Class. Either way, thanks for sharing! Love, love the boy David. What a wonderful activity to start the year. I guess I missed the cut-off, but would like someway to get a poster with my class name on it. How would I do that? Will it be on Tpt? Thank you for sharing this. I am so going to do this with my class. Really cute. I love this! I am excited to see something so cute to try out this year. I am sure I am too late to get this wonderful poster but thought I would try. I can't wait to see your other amazing stuff. Thanks for sharing your wonderful ideas. Poster saying: Mrs. Contreras' Class. 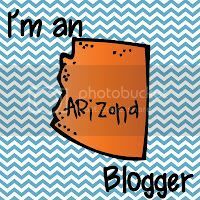 I am a new follower of your blog and TPT! LOVE this idea and if you are still giving away the poster I would just adore one! Thanks so much for your amazing work! Hi, just found your blog and I'm in love! i'm a first grader too! =) I missed out on the free poster but thanks for the adorable freebie rules and craft activity! Can you help...I don't quite follow.....How did you get your name on the poster? =) Thanks so much for such a great idea! It looks like I am too late also :( I just came across this pin on Pinterest and am VERY excited to do this with my first grade classroom! I was wondering if there was a way to pay you to make a poster for me, as I was not one of the ten to post. 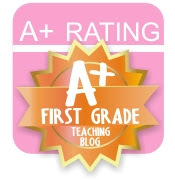 Thank you so much and I look forward to following your blog as I embark on my first year of teaching first grade! I'd love a way to get the image (I can edit it myself) so I can hang these up the first week of school with my class of 1st graders. I'm moving from K-1st so I need some new ideas!! Hate that I missed the top 10 but still happy I found you and your TPT store! I know I missed the free poster but can you send me the image so I can do what you did? I just moved from kindergarten to first grade and this is a great first week of school idea. Our first social studies unit is on rules. My email address is tracey@wiredrop.com. Great ideas and I am not going to start being a follower of your pinterest. Thank you fo rthe wonderful idea. I also love this idea. I have print shop, but I don't think it has the same capabilities as photo shop. Would you be willing to share with me even though I am extremely late? My email address is keith_ferrell@ipsd.org. I would be very appreciative. You have very cool ideas. Thanks for your help. I am definitely going to be a follower and have pinned you on my pinterest board. I know I'm too late to get the free poster, but I love your idea. I read this book to my first graders every first day of school. If you could send me the image, perhaps I could edit it myself. My email address is: haperry@bellsouth.net. Thanks so much! Boo! I'm too late for the poster. If your still willing to share your poster, I would love it. Your site has great ideas! Thanks for sharing. So sad I missed the poster freebie but so glad I found your blog!!! Thanks for sharing your talent!! My email is rbelrod@bellsouth.net I'd like to purchase a poster if possible?? I would like to purchase a poster and would like the black and white copy of David to make these with my class. Please email me at bschauss@centerville.k12.in.us. Thanks so much! Great idea! I would love the poster too. Please let me know if I can purchase it. kromero@rhmail.org Thanks! I too would love the poster. Please include me with info to purchase it. I am having a birthday giveaway on my blog and would love for you to check it out! I would also like the poster. Please also include me with info to purchase. Hi Angie: Thanks for your David poster - love it!! The kids love David - what a great idea! Are you at all thinking about putting the poster on TpT? It is so dang cute. What do you have the children write under their creations? Just getting turned on to all of this cute, cute stuff that you do. The kiddos love the David stories. Could I please get the poster with Mrs. McDonald's Class on it and Second Grade Rules? I will be happy to compensate you if you would like. I just found this activity on Pinterest and I LOVE it! Thank you so much for offering it for FREE. Plus, I started following your TPT store. Is your reading series still Trophies? Holy old! is there a book David Learns School Rules. If so I am having a really hard time finding it. Do you use David Goes to School as the read aloud to start this activity? Thats what I intend to do unless there is a book. Also, I am doing a pirate theme and have modified David to wear a a scarf and eyepatch. Super cute!!!! My name is Mrs. Neal also! Hope it's ok if I borrow your title page. Can't wait to do this with my kids! Love this! I just started following your blog and TPT store. Thanks for the freebies. Angie, I love, love, love this!!! I teach Pre-K and also art to grades K-2. I am making these cute little David's with my first grade art class. I would love to make the teachers a poster like the one you did but I cannot figure out how to do it. HELP!!! I do not have photoshop but I do have publisher and powerpoint. Is there a way to put their names on the poster? They are Miss Membrey and Mrs. Ybaben. They each have a first grade class and I would love to do this for them if I can figure it out. Thank you for all your wonderful ideas. I love your blog and your TPT store. Thank you for sharing. I am a new follower of your blog and TPT store and I would love a copy of your powerpoint- "David Learns the School Rules" poster . I definitely will be following you. Your things are so neat. Could I please purchase your time to create the poster for me? I would need the "David Learns the School Rules" poster to say, "by Mrs. McDonald's Class"
I am having difficulty finding the book. Suggestions? I love your idea for David! How could I get a poster to say 'By Mrs. Day's Class'? Please let me know and thank you! Hi! I was wondering if I can purchase the poster on your TPT site? I tried but I didn't see it. My email address is katherine.greenough@dsusd.us. Love this! I am a new blog follower and Pinterest and just saw this. It's so cute, and I would love a copy of the poster so I can use it in my Special Ed class for rule review after our return from Thanksgiving break! I would love to get a poster. Is it still available to download on TPT? I found the other things but not the poster. Thanks! My email is kvoss@gips.org. Angie I am a new follower! I can't wait to use so many of your super fun and creative things!! I smile new to 1st grade and this really helps!! I would love your poster! Is it still able to be downloaded on TPT? Angie I am also a new follower! I love the David books. I would love your poster! Is it still able to be downloaded on TPT? I love David, and I would love to use this poster for my classroom. I was unable to locate it on your TpT page... is there any way I can get a copy of it for Ms. McGlone's Class? I am a first year teacher and I can't wait to implement this activity in my new classroom! I would love a poster with Mrs. Ruchti's Class on it! Thanks for sharing. Your blog is so awesome! Do you sell the poster you created of David Learns School Rules on TpT. I can't seem to find it. I would love to use it with my class. I tried to photoshop but can't seem to make it work. Thanks so much! If the template is available to download or purchase please let me know at jennifermckendry@hotmail.com. Hei! I follow your blog and your useful ideas, your inspirational and "make me go on "pictures. Thank you. I.ve been teaching primary and then english for 18 years and I still have to learn. I love the poster. I am not in the first 10 to ask, but if you can, I don.t know, I.d be glad to get one from you on my mail irinaolticacretu@ yahoo.com for Mrs. Irina' Class.